Our Professional Cabling Services provide complete communications and cabling systems for domestic, commercial, industrial, government, hospital and educational sectors. We have been supplying 'State of the Art' structured cabling systems since 2008. A structured cabling system provides a platform upon which an overall information system strategy is built. We offer a wide range of services, which range from designing to installation and aim to cover all fields with the best possible solutions. To be competitive we believe in ‘when’ and ‘what’ to build modern cabling infrastructure for trouble free operation to meet the needs of all of our clients and customers. Our commitment is to client and customer satisfaction, which is of major importance when we calculate our achievement. CablesOne has most experience of design and installation from Category 5e up to Category 7A and are trained and certified by Nexans. CablesOne always put into practice and comply with network cabling standards, which are used internationally and are published by EIA/TIA, ANSI and ISO/IEC. We follow strict and specific guidelines and all testing is carried out using the right equipment calibrated for the latest standards. 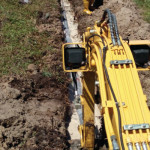 CablesOne national and local scope of work involves all methods of underground excavation for fiber installation along with aerial placement of fiber optic cable on existing power poles, manholes, hand holes and vaults. 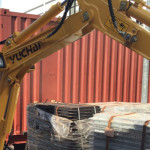 Our scope of work also includes manhole placement, fiber optic cable splicing, Fiber to the Home (FTTH), building entrances and inside plant (ISP) technical services. Complete restoration of all impacted areas gets high priority at CablesOne in addition to a constant focus on safe working practices. CablesOne provides all types of outside plant (OSP) construction and inside plant (ISP) services to the telecom, electric power and water industries. Our annual project completions are the result of project awards generated by our customers through competitive pricing and quality of service.